PhD, Disaster Research (Public Health), 2017, University of Copenhagen. 2017-: Assistant Professor, Dep. of Military History and War Studies, Royal Danish Defence College. 2017: Research Assistant, University of Copenhagen, Faculty of Law. 2013-2016: PhD Fellow, Danish Emergency Management Agency and University of Copenhagen. 2011-2017: Book reviewer at Weekendavisen. 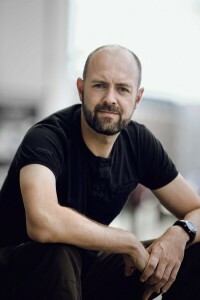 2010-: Rasmus Dahlberg Inc., owner. Writing, consulting and lecturing. 2007-12: Desmond Entertainment, partner and founder. Creative consulting and publishing. 2000-2009: Danish House of History, partner and founder, CEO. Creative consulting. Writing, editing, publishing, teaching, lecturing, creative coaching, complex project management, organizational motivation, business development, marketing, and PR. Member of the Editorial Board of the peer-reviewed periodical “Den jyske Historiker” 2000-2008. Peer-reviewing of scientific articles on theory and methodology. Father of two children. Interests: Running, reading, meditation and playing the guitar. Lives in Odense, Denmark.